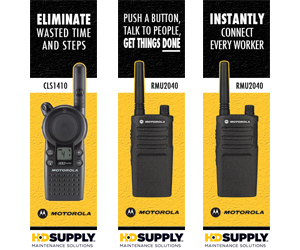 This series of B2B web banner advertising graphics were created for a two-way radio distributor. 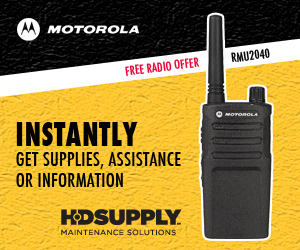 They will be used on HD Supply’s website and appear when the user types in keywords relevant to Motorola products. Each ad utilized HD Supply’s brand colors to be bright, breed familiarity and stand out on the page. There are three sizes placed in different areas of the page; a wide rectangle, skyscraper and leader board. 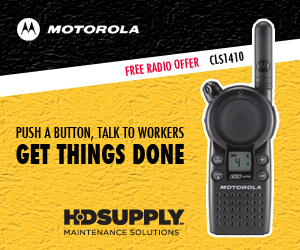 The goal was to promote a new line of rugged and reliable RM radios along with a teaser for their quarterly promotion. 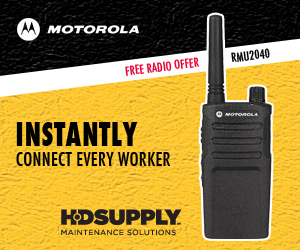 When clicked on, the user is taken to a page with all of Motorola’s business two-way radio line. After clicking on the desired product a graphic with promotion details accompanies the product image. dream ink specializes in B2B web banner advertising design, placement, and long-term management. Furthermore, our dream team of designers are well-versed in the art of online advertising; we know what users are attracted to, click on and convert from. Whether you need one graphic or a strategy for a long-term campaign, we can help! Contact us today for a free quote or consultation if your company needs help with B2B web banner advertising.